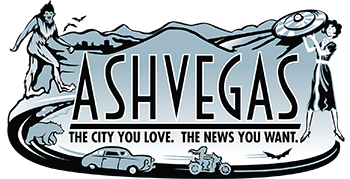 Ask a Woman AVL: Am I wrong in thinking toxic masculinity is BS? I’ve got huge issues with Gillette’s new advertisement. If I’m totally honest with myself, it made me feel attacked. Don’t get me wrong, I’m a decent guy who loves and respects women and that’s why it made me feel that way. They missed the mark. They attacked the wrong people. I’ve also pretty much thought that the term “toxic masculinity” was BS for a long time and this is just the final nail in the coffin for me. Have you seen this ad? Do you honestly feel empowered by it? Thoughts? 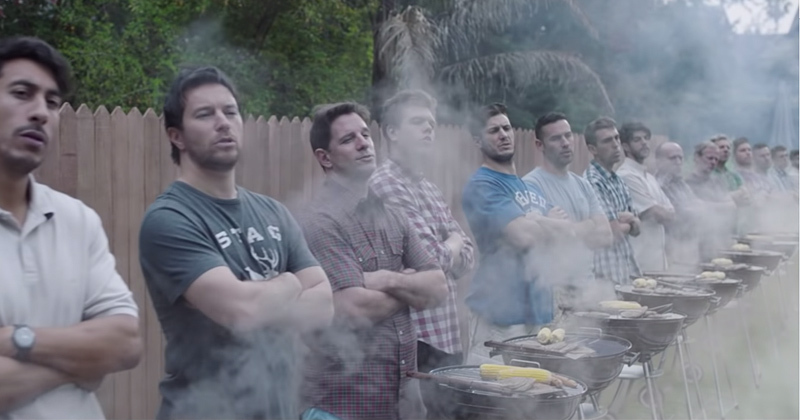 For those of you who haven’t seen it, Gillette recently produced an ad calling out toxic masculine behavior such as bullying, mansplaining, cat-calling and sexual harassment, with the underlying message of “Is this the best a man can get?” Sounds pretty great, right? Well, some people think the opposite. Yeah, you heard me. Some men are angry that they are being encouraged to stop being assholes. I simply don’t understand the outrage. I mean, say it was an ad depicting a bunch of people cannibalizing each other, along with the simple message, “Let’s stop eating each other.” Most people would view this and think, “Oh yeah, geez, we should totally stop eating each other.” It would be assumed that the only people outraged by the message were cannibals, right? OK, I’ll be less dramatic. If there was an ad for a feminine product that showed examples of toxic femininity and urged woman to be better, I would not be outraged. Probably because the message of most advertising targeted at women tells us we’re not doing it right and have to be better, so we’re just used to it. Also, I really want to be the best version of myself that I can be, even if the message is in the form of an advertisement. I’m willing to do the work even though it can be a long, complicated path at times. I wonder if decent men like you, who are upset by this ad, are seeing it as a war on masculinity. It’s not. The advertisement is a message against toxic masculinity. Masculinity, in and of itself, is not a negative thing and is not being attacked. Maybe it’s not understood that there’s a distinction? So, let’s start by trying to understand the term “toxic masculinity.” In general, I think the term easily gets a negative reaction and is discredited as some asinine made-up thing. Toxic masculinity describes male behavior that is sexually aggressive, unemotional, predatory, violent and stay-within-the-confines-of-the-patriarchy. It is overtly sexist. It is trans-phobic and homophobic, and it perpetuates the stereotype that an interest or exhibition of anything feminine is degrading. What toxic masculinity is not is an attack on masculinity or all men. Now back to the ad. Dare I say that if this ad angers and infuriates you, it might be time to do some soul searching? A man who already makes an effort to be a good man, treat women as equal, and calls out misogynistic injustices would react somewhere on the spectrum of applauding the ad or thinking little of it. They certainly would not be offended, appalled, or threatened by it. Really? We want to encourage boys to aggressively mirror sexist and misogynistic examples? You’re going to stand behind that, Mr. Morgan? Listen, I get it. Looking your privilege in the face is not easy. I benefit from white privilege. As someone who has struggled a lot in my life, it was not a straight line to acceptance when I first heard the term. But, accepting my white privilege does not mean that I have not had a hard life and it is not an attack on me as a person. It’s simply an understanding that my race has not made my life harder. As a man, you were born with more privilege than women, and guess what? With great power comes great responsibility. If your knee-jerk reaction to this ad is to feel attacked or outraged, it might be time to check your privilege. It is a privilege to choose not to care about something because it doesn’t directly affect you. That is exactly what you are doing if you choose to look the other way when you see other men act in the ways depicted in this ad. Realizing that you have turned a blind eye to sexism and misogyny because you are afraid of dismantling a patriarchy that you have benefited from does not make you a monster, but continuing to do so after you’ve made that realization does. When we benefit from the structures of supremacy, we do not notice when they function seamlessly. Help to somehow disrupt this seamless functioning. Supremacy, in its racist, sexist, misogynistic, and xenophobic glory, is toxic for all of us, not just men, or women, or black people, or white people, or the elderly, or the youth, or refugees or those grandfathered in. A little self-reflection can be pretty radical. Sarah: Maybe you’re not an artist. Claire: Why would you say that? Sarah: Did it hurt your feelings when I said it? Sarah: Maybe I’m right. Maybe if you were an artist, you’d have laughed when I said that. Like, if you told me I was purple I would have laughed because I know I’m not purple. But when I said you weren’t an artist, you felt bad, maybe because there’s a grain of truth in it. Watch the Gillette ad again. Did it hurt your feelings? Did it offend and outrage you? Well, then, maybe you need to take a look at your behavior and see if you’re really being the best man you can be. Maybe I’m right. What is BS is the idea that a majority of women believe that toxic masculinity is actually a problem. In my experience, most women who SAY they want “a good man” or “a nice guy” will ignore both while pursuing only “bad boys” regardless of the abuse that they know (or should know) will follow.